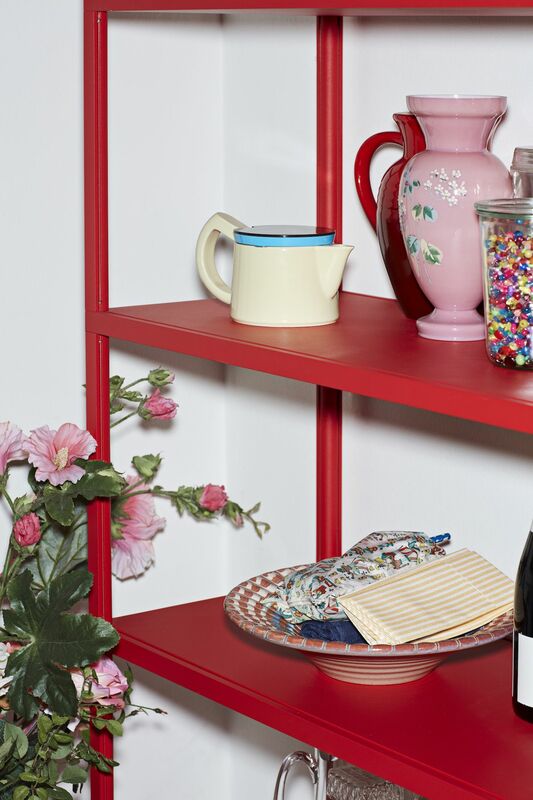 Soon it will be easier to make your home look irresistibly Scandinavian. Hay—the Danish manufacturer of modern furniture, punchy housewares, and vibrant textiles from a roster of contemporary design’s most exciting practitioners—opens its first retail store in the United States in Portland, Oregon, November 15. Its second will debut in Costa Mesa, California, later in the month, and four more brick-and-mortar locations in the United States are planned for 2019. Plus, an e-commerce site launched early November, so fans of the brands are now only a few clicks away from shopping their favorites. Hay is laying the groundwork to become the next hit international design brand in America. 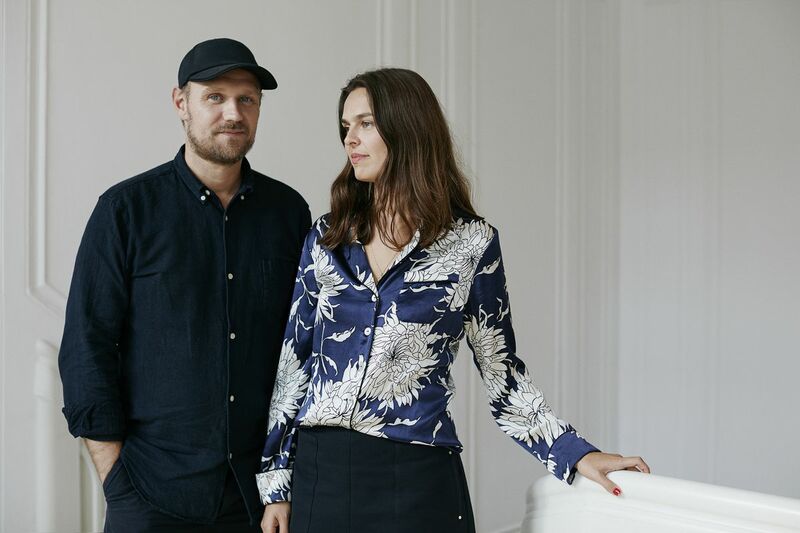 Rolf and Mette Hay founded their design brand in 2003. Hay was founded in 2002 by Mette and Rolf Hay, a married couple, and businessman Troels Holch Povlsen. The brand sought to introduce attainable and stylish products for midrange shoppers to the design market. Think playful cat-shaped sponges ($5); prismatic organizational trays (starting at $20 each); Memphis-y coffee pots ($95); plush towels (from $20); and gilded coffee tables ($695). Hay’s first collection debuted in 2003 with 13 products. Today, after making a number of partnerships that have sustained steady growth, the company’s total equity is valued at around $200 million, based on Herman Miller’s recent purchase of a third of Hay’s equity for $66 million (Hay declined to comment on its total valuation); it has 38 stores in Europe, Asia, and North America (including the forthcoming Portland store); and collaborates with a who’s-who list of designers including Nathalie Du Pasquier, Inga Sempe, Ronan and Erwan Bouroullec, and Pierre Charpin, among others. Instead of going the typical startup route—launching a brand, quickly taking on investors, and eventually scaling too fast—the company has adopted a watch-and-wait approach. 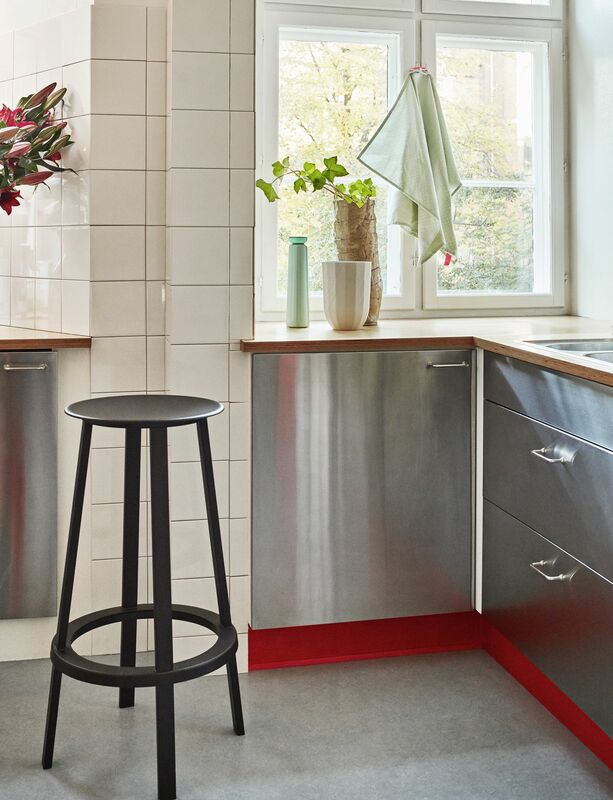 The brand’s product range includes furniture, like the Revolver stool, and accessories, like the tea towel, vase, and water bottle on the counter. 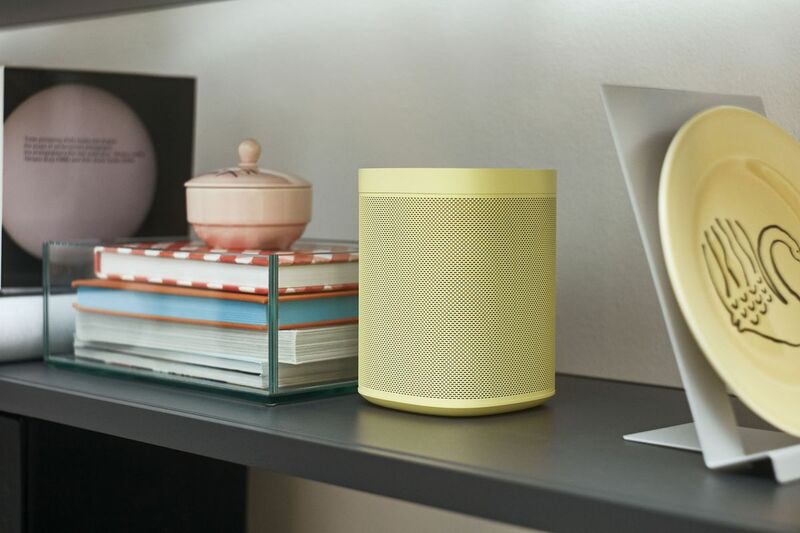 Rather than create its own digital e-commerce infrastructure, it sold a 33 percent stake to Herman Miller (which owns Design Within Reach) to take advantage of its established retail and distribution infrastructure. Instead of spending millions on marketing campaigns to get customers in a new market to know its brand, Hay partnered with MoMA Store, one of the most respected and prolific design retailers in the world. And instead of trying to reinvent mass manufacturing completely on its own, Hay collaborated with Ikea on a collection, augmenting its own expertise with the Swedish retailer’s cost-saving manufacturing techniques. Rolf and Mette Hay oversee the brand’s creative direction and the two worked in the furniture industry prior to founding Hay. 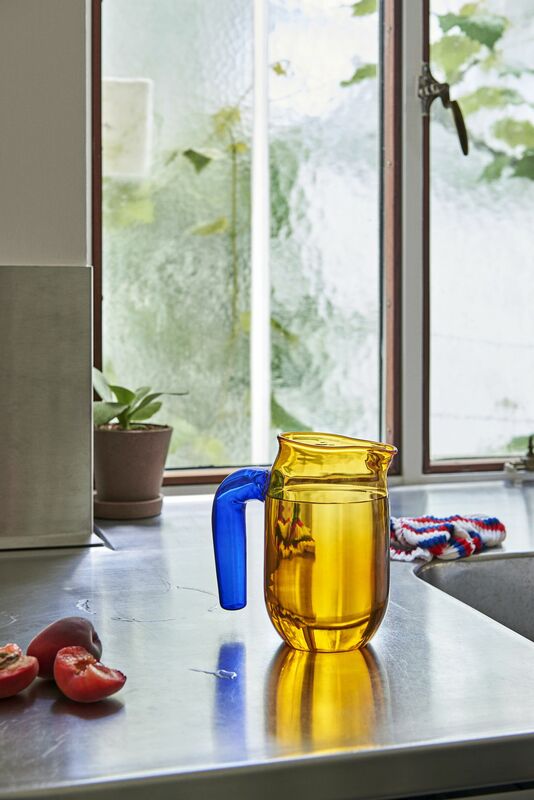 The brand’s products don’t follow a formula, but they do share similar traits, namely striking silhouettes, like the Dapper lounge chair by Doshi Levien, and vivid colors, like the Glass jug by Jochen Holtz and tea towels by Scholten & Baijings. They’re essentially ultra-Instagrammable modern pieces an increasingly design-aware culture will gobble up. Emmanuel Plat, MoMA Store’s director of merchandising, agrees. He believes Hay’s uniqueness in the market—there are few midlevel brands with a strong point of view—will lead to success stateside. The brand is known for its creative partnerships. For the Hay Kitchen line, it worked with chef Frederik Bille Brahe on a series of dinnerware, tableware, and accessories. Three years ago, Hay introduced itself to the U.S. market with a pop-up shop in MoMA Store’s Soho location. (Smaller, local boutiques may have stocked a product or two of Hay’s here and there prior.) The Hay Mini Market was supposed to be a three-month installation, but customers kept flooding the store and MoMA Store kept extending the partnership, which continues today. The shop began selling smaller items from the brand’s repertoire—think pens, notebooks, cups, decor items, pillows, and linens—and over the years increased its inventory to include lighting and furniture, meanwhile testing the shopping habits and desires of American consumers. Plat points out that Hay doesn’t follow the typical pattern for retail collections. In his experience, about 20 percent of products from a brand usually account for 80 percent of sales. For Hay, all product categories sell strongly, though it’s usually small items that move the quickest. Pens and trays are among the most popular. This fall MoMA Store put Hay’s water bottles, designed by George Sowden, on its catalog cover, which has a circulation of about 1 million, and those have been selling well, too. 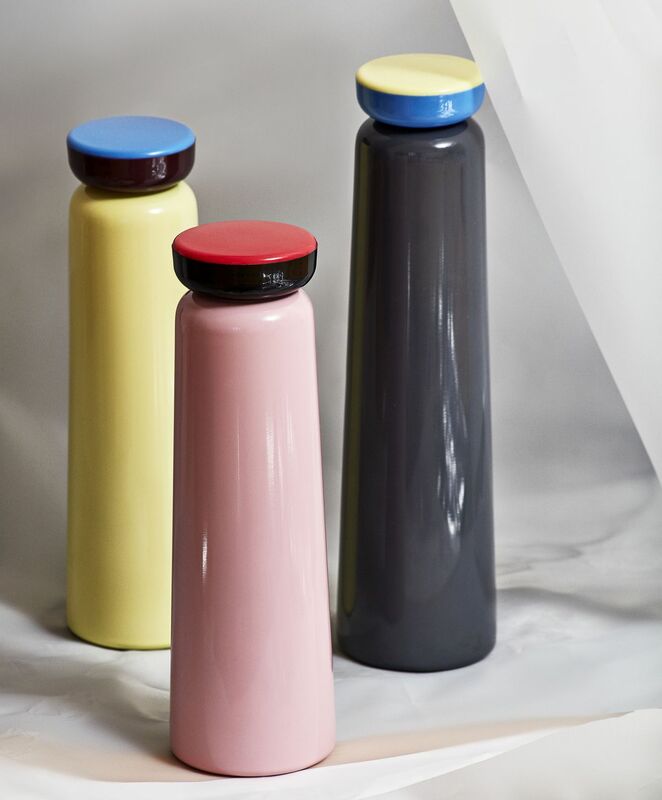 The Sowden water bottle became one of Hay’s bestsellers at the MoMA Design Store. “When you visit the Hay Mini Market, it’s hard not to leave with something,” Plat says. Now, it seems, Hay has cemented enough of a following in the United States to stand on its own. With its retail strategy, Hay is following a similar trajectory to Muji. The Japanese retailer of design-minded furniture, housewares, clothing, and more also began as a MoMA Store pop-up before mounting its expansion in the United States. While the two brands reflect different aesthetic philosophies—Muji is timeless Japanese minimalism, Hay has a more fashion-forward approach—and have different price points—Hay is a bit more expensive—they both speak to audiences that care about design. While Muji has been able to succeed in the United States, that’s not guaranteed for Hay. Promising midrange home-design brands have faced challenges in a market saturated by Ikea, CB2, and West Elm. However, Hay is does have a few factors working in its favor. Hay’s competitive edge is stylish, vibrant, and modern products at prices more accessible than its peers. One is Herman Miller’s 33 percent stake in Hay, worth about $66 million, citing the brand’s appeal to a “younger more aspirational demographic,” more affordable price point than its current offerings, and strong design sensibilities. Meanwhile, consumers’ desire for highly Instagrammable products and spaces align with Hay’s eye-grabbing offerings and its retail design strategy. Hay House, its flagship store in Copenhagen, is the anti-showroom experience: products are arranged in photogenic vignettes that make you feel like you’re walking into the home you wish you had. Each of Hay’s stores is different, but expect a similar experience in the 3,400-square-foot Portland location, which is in the Pearl District adjacent to Design Within Reach. The open-plan store will sell furniture, textiles, kitchenware, tabletop accessories, and more and will be divided into areas dedicated to each room in the home, including the kitchen, living room, dining area, and office, to create a “seamless shopping experience,” in the words of Rolf Hay. While Portland seems like an unlikely city for a major design launch, Rolf points out that it shares a lot of similarities with Hay’s home base. Related tags : brand coolest Denmark’s Design first its opens store U.S.
Aakriti Kumar, 28 Founder, Differniture Spaces, Delhi www.differniture.com Aakriti Kumar focuses on creating sculptural, functional and sustainable furniture using discarded (or reclaimed) wood. "